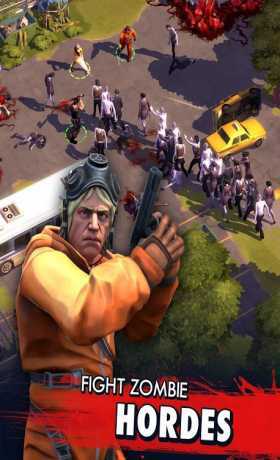 Begin a desperate struggle to stand among the living in the best online strategy survival game. Find the last humans on Earth and train them in the art of survival as you wage war against the apocalypse. Battle against the living and the dead walking the city. Build defenses to protect your camp from an army of raiders, as you begin fighting for the secret behind the end of the world. Resources are hard to come by in the apocalypse. Keep enemies from walking in and taking your supplies with Watchtowers, Flamethrowers, Tesla towers and more! Form an army of skilled scavengers to battle rival players from around the world in online PvP. 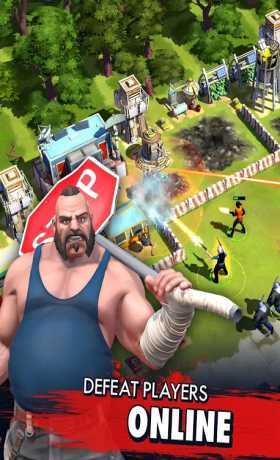 Steal their precious materials and amass victories to climb your way up the global multiplayer leaderboards. 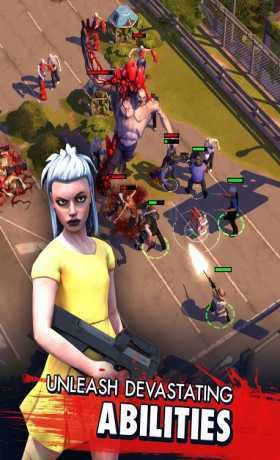 Exterminate zombie-infested camps to collect resources and confront evolving monstrosities in action-packed tactical missions. Shoot the dead in the Zombie Hunt mini-game to unlock Rockets, explosive Satchel Charges and other deadly weapons to deploy from your apocalypse-ready van! Master a new layer of strategy as you take control of the action during raids, direct your survivors and make tactical use of their strongest abilities in order to kill the enemy. Scavenge resources and rare items to upgrade your buildings and survivors. Create the ultimate camp and become the envy of the waste!